Do you remember about a month ago I asked for potential guest reviewers for this new (to the UK) range for young skin? 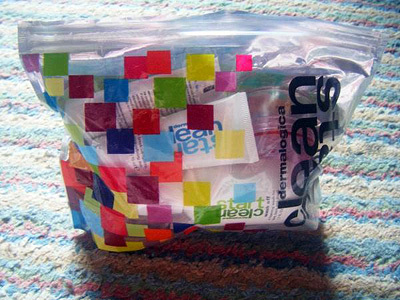 This kit comes in a sea threw reseal able bag which I think is very handy. Unfortunately, I didn’t take a picture with the products all stood up looking neat . It also comes with a booklet explaining each product and when you should use them – I find this very handy as there is quite a few products in this kit and it is aimed at teenagers to get them into a skin care routine. Also, on the back of the products they either say ‘am’ or ‘pm’ on them so you know when/how regularly to use them. 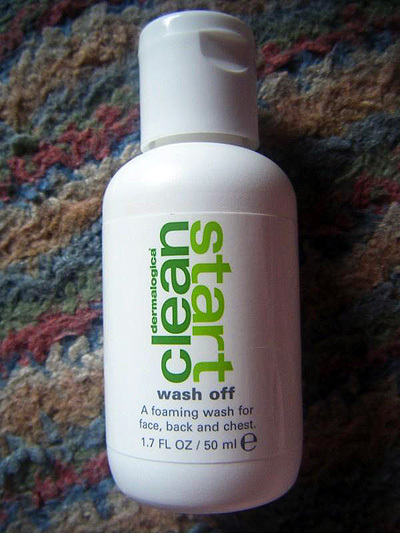 This face wash is easy to work into lather and only a small amount is required to clean the whole face. The first thing I noticed about this was the smell; it is incredibly fruity and it really uplifts you at the start of the day and wakes up you and your skin. Using this in a morning my skin was clean of the dirt and grime left from overnight, however when taking a full face of makeup off this needed a little help (I used a face wipe beforehand) at removing all the makeup. After I had washed this off of my skin, my skin felt clean, tingly and really soft to touch. The thing that I love the most about this toner is that it is a spray. After washing your face you just spritz it over your face and neck and it instantly refreshes the skin and leaves it feeling cool and fresh. The problem that I normally have with toners is that they leave my skin either looking greasy or feeling dry yet this one finds the right balance and keeps shine at bay whilst leaving my skin feeling supple. The smell of this isn’t quite the same as the Wash Off and is a little bit plastic; however it wouldn’t stop me using it. This is my favourite product out of them all. You apply it onto your face as a mask and leave it to set for 5-7 minutes. 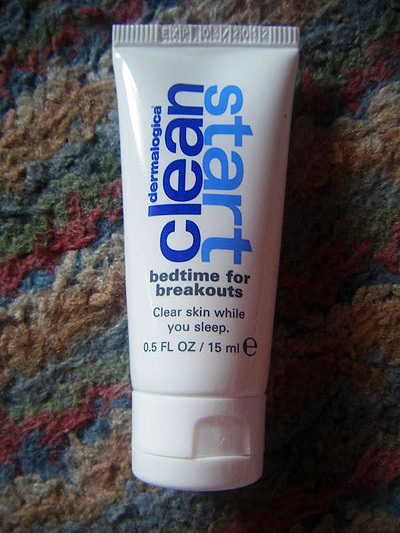 This product smells beautiful and it really wakes you up if you were using it in a morning. After the mask has set, it becomes a scrub. And you then use it as an exfoliator and then wash it off. I don’t know which half of this product works the best but afterwards, my skin felt a lot smoother and looked brighter. This moisturiser comes out white which for some reason, I really liked. I don’t know why, maybe it was because I had previously been using the yellow Clinique Dramatically different, but it just seemed a lot ‘cleaner.’ The texture of this moisturiser is incredibly light and after you have let it sink into your skin, your skin instantly appears matte. This is great for oily skin but not so much for combination as it didn’t add quite enough moisture for me. 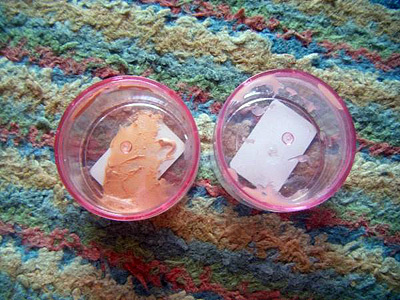 I loved that my skin was matte throughout the day as I do get shiny skin, it’s just that it emphasised my dry patches. I will also add, the matte effect doesn’t wear off quickly and it lasts around 8-10 hours, which is incredible. It also has SPF15 in it which I think is great for blemish prone skin as you’re not adding a separate product onto your skin which would block it up more. This is a moisturiser than you use at night time. I love the idea of this as I like using a separate moisturiser for night; this is because your skin repairs itself at night time so I think it’s good to have a moisturiser that helps that along. Another nice smelling product, and this one comes out clear. Although this is a moisturiser, I used it as a serum because like the Welcome Matte, it just wasn’t moisturising enough for me, especially because it was at night. It did work just as well though as I woke up with fresh looking skin. 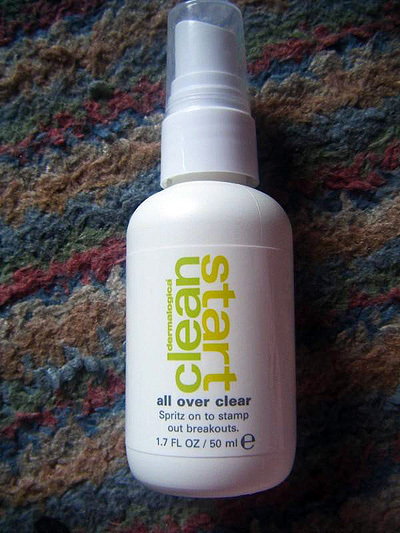 This Clean Start kit is for blemishes and this is the one product that I didn’t understand. I don’t know why a lip balm was in this kit because in all honesty, it doesn’t help with spots does it? But I must say, I’m glad it was! 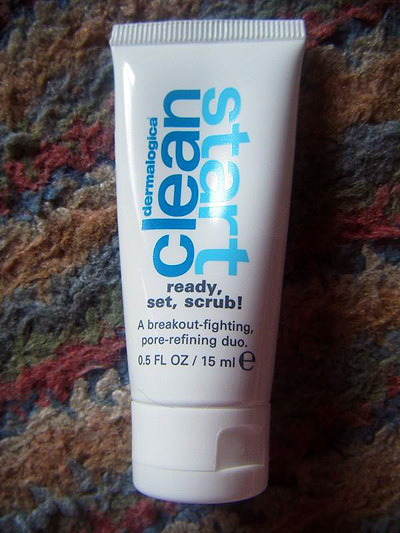 As well as the Ready, Set, Scrub this is another of my favourites. The lip balm smells beautiful, tastes gorgeous and moisturisers the lips very well. I can’t explain the applicator so I’ve added a picture, but as you can see it dispenses out of holes which ensures the correct amount of product is distributed so there is no waste. 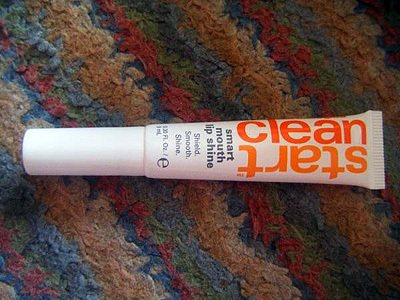 This is also very shiny and can be used as a clear gloss or a lip balm to moisturise your lips. I find myself using this when I’m having a natural day as it just adds a nice sheen to the lips. I received both of these products in a sachet, but I dispensed them both so they would last me longer. This is a spot treatment cream (that once again, smells nice). But I found it a little weird. Not only did it help get rid of my spots, it also sort of moisturised them and soothed them. I found this to be a very nice touch which helped my spots in being less red and less noticeable. I have tried a lot of spot treatments in my time and I do like this one; it clears up spots in the same time as other spot treatments do (around 3 days) but I liked that it took the redness down instantly and also didn’t dry my skin up. I love love love this! This is also a moisturiser and once again, I didn’t find it moisturising enough for my combination skin, so I use it as sort of a ‘primer.’ It is a tinted moisturiser (ish) that doesn’t add colour to your skin but evens out your skin tone and adds a nice shimmer to it. After using this, the redness in my skin has completely disappeared and my skin looks so radiant and bright and awake. I can’t recommend this product enough – and it contains SPF 15! 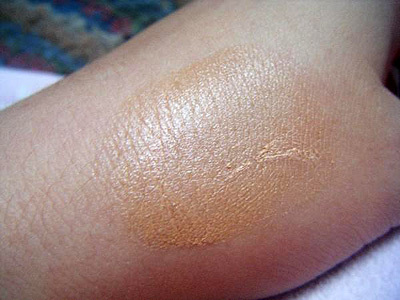 In the picture I have included, you can see it half blended into my skin and it looks pretty orange, but once it’s fully blended, you can’t see the colour. 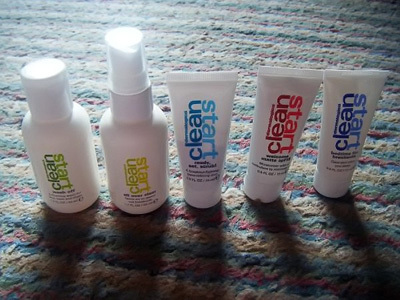 My skin is combination and blemish prone and the reason for this kit is to clear up spots, so does it? Yes, it does. Reviewing a skin care routine is a lot different to just reviewing one product by itself, this is because you can’t see if one product is superior to the others. But when all of these are used in conjunction with each other, my skin cleared up within around 2-3 days. I could see an improvement the morning after though; my spots had reduced in size. The only problem that I had with this kit is that it wasn’t very moisturising so I would recommend this product for people with oily skin and no dry patches; it didn’t dry my skin out though I must add, it just didn’t moisturise my already there dry patches. One of the greatest things about this skin care routine (except that it cleared my spots), was that it smells beautiful! It’s nice to finally find spot products that don’t smell of chemicals and smells beautiful. Would I recommend this? Definitely if you have oily skin that is spot prone. It is also great at encouraging teenagers to get into a skin care routine, which I find very important. As for me, I will be repurchasing the Ready, Set, Scrub, Smart Mouth Lipshine, Hit the Spot and Brighten Up SPF 15 as I love these products. Ooh I didn’t know about this range, it looks really good! 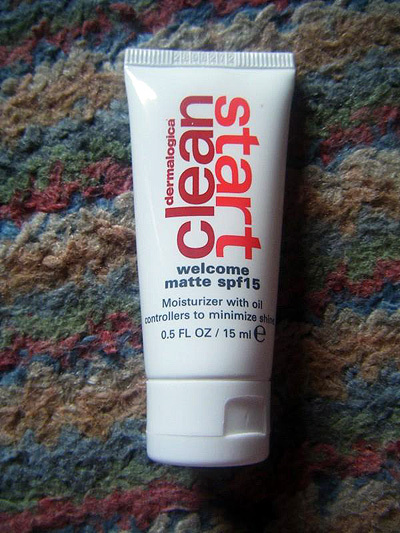 I’m desperate to try thiis out – i’ve always liked Dermalogica and love that they have made this range more specfic. Excellent review Jemma, I have two teeenaged sisters with birthdays coming up, looks like this kit might be a great idea! I hate to be picky on such a good review – and I will put this down for xmas shopping for my daughter’s stocking – but … “This kit comes in a sea threw reseal able bag” I think needs a quick edit! I bought this kit about a month ago, and to be honest, it didn’t work that well. I mean, it’s not horrible, but my skin isn’t that good either – I think I’ve got more (or more visible) spots now than before I began using it. Also, it didn’t include all the products described here (not the lip shine or the hit the spot-thingy). the lip shine and sachet samples were separate. I hope this clarfication makes things clearer. Sorry about the spelling error :(! Jemma I think that your review was amazing. I think the products really smelt good too. I just got my ‘Clean Start’ today and weirdly enough I can already see the difference. My skin has combination to oily skin and they suited the area quite well. As for Joanna’s very offending comment I think she should have at least thanked you for the review. Thank you for making it.